PostgreSQL has been developed as a Open Source Relational Database Software for 20 years. It is no longer possible to replace commercial database products enough, or not to be able to do it, has been taken up as a topic every time a new version is released. This session will clarify the present position of PostgreSQL, and aim to help everyone consider examining PostgreSQL. In recent years, the number of users who consider the introduction of PostgreSQL continues to increase. Therefore, introduction results have been accumulated for wide range of applications and scales. However, users who have never used PostgreSQL may be worried about introduction of PostgreSQL. This session will explain what challenges are going to be presented for PostgreSQL introduction and how we can solve it, with NEC’s experience applying PostgreSQL solutions. 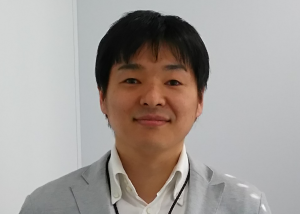 Terumasa Kawabata is engaged in PostgreSQL related work like development of PostgreSQL related products, support and consulting and so on since joining NEC. He is in PostgreSQL Enterprise Consortium as the steering committee delegate chairperson since the inauguration in 2012, and promotes PostgreSQL penetration promotion activities. Under the recent uncertain circumstance, DBMS has to follow the market changes flexibly. In this session, we will introduce two contents from our various activities for PostgreSQL. Firstly, we will introduce the migration case from other DB for Saas system to utilize in existing high-reliability and high-availability system. Secondly, we will report the validation results for utilization of PostgreSQL in new business domains such as big data and IoT. Satoshi Denpouya joined Hitachi in 1993. He is engaged in development of “uCosminexus OpenTP1”, which is a distributed　transaction manager, and in charge of development and operative duties of “TWX-21”, which is a business system　cloud service, from 1996. In late years, He also participates in JEITA and CI-NET, which are industry standardization　associations, and tries for productivity improvement of the whole industry through promotion activities of EDI. 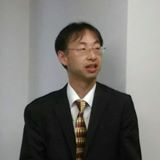 Tsuyoshi Inagaki works at OSS Solution Center, Hitachi, Ltd. He is promoting the use of OSS for business, and currently in charge of supporting projects using OSS DBs including PostgreSQL, MySQL and MongoDB. He joined the PostgreSQL Enterprise Consortium in 2013 and has been working on studying, doing verifications and advocating PostgreSQL to promote it to enterprise business. As the platform shifts from on-premises to virtual environment or cloud environment, what kind of database should we choose in future system development? We propose a new database that combines “EDB Postgres”, a powerful RDBMS product based on PostgreSQL, and “EDB Ark” providing Database as a Service in a multi-cloud environment. 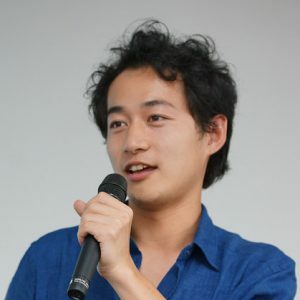 Kosuke kida is responsible for EDB Postgres’ technical support, presales and new function verification after going through the Oracle Database field engineer in Ashisuto. 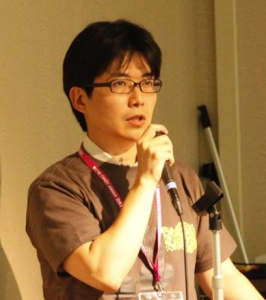 He also works as a director of the Japan PostgreSQL User Association, planning study meetings and events throughout the country, and strives to disseminate and promote database technology as a lecturer. * Account registration is required on the linked page (Ashisuto’s Web site) to download the material. PostgreSQL Enterprise Consortium (PGECons) collects and verifies information on PostgreSQL itself and various tools, and publishes those deliverables, for the purpose of spreading it to the enterprise systems. PGECons continuously examines and verifies the there of migration from heterogeneous databases. We will introduce the points that need to be taken into account when considering and conducting the migration to PostgreSQL, with the contents of the deliverables so far. Akira Kurosawa is engaged in maintenance, development and technical support work related PostgreSQL at NEC. He actively participates PGECons activities since 2015, and in 2017 serve as the chair of the migration working group.